If you suffered an injury on the job and can no longer work, you may have filed for workers’ compensation or Social Security Disability benefits only to have your claim denied. Unfortunately, this is all too common. However, help is available, and you can trust attorney Timothy S. Burns and the dedicated legal professionals at Burns Law to fight on your behalf to help you obtain the benefits you deserve. A highly rated attorney with over 25 years of legal experience, Mr. Burns established our law office in Saginaw, Michigan, in order to provide the highest level of advocacy and support for those in need across our great state, and he is readily available day and night to address your questions and concerns as they arise. Widely regarded as one of the top injury and disability law firms in the region, we have recovered over $100 million for our clients, and we have achieved unprecedented success handling third-party personal injury and wrongful death claims in addition the workers’ compensation and SSDI. From back, neck and shoulder injuries to carpal tunnel syndrome and other work-related maladies, you can trust us to stand up for you and get you all the benefits you deserve. Getting you the medical treatment you need and the money you deserve is our number one priority. Our law firm offers free initial consultations, and we work on a contingency basis, which means we will not require a fee from you unless we successfully obtain compensation on your behalf. 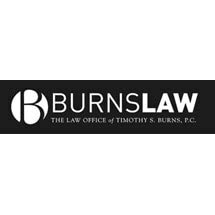 For more information on how we can best help you and your family in your time of need, you can contact Burns Law to schedule an appointment to speak with Mr. Burns directly.